First, navigate to www.givegab.com to sign up your organization for GiveGab. From www.givegab.com click on either of the "Get Started" buttons highlighted below. After you click either of the "Get Started" buttons you'll be prompted to create an organization profile or a personal profile. 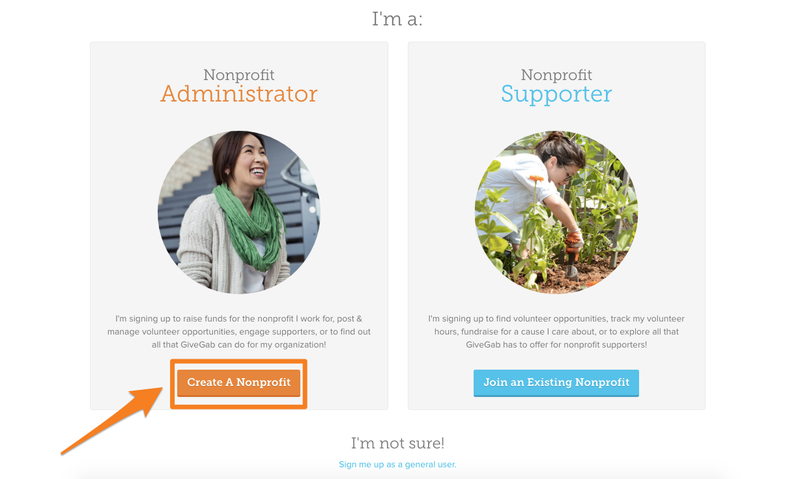 Click the button that says "Create A Nonprofit" to create your organization's profile on GiveGab. 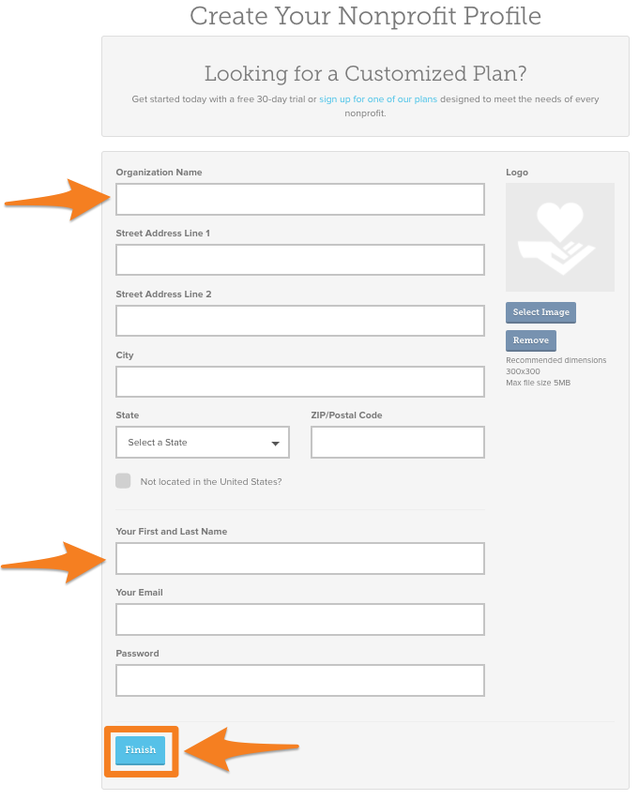 After you click the "Create A Nonprofit" button, fill out the form shown below with your organization's name, mailing address, and your own personal log in information.